"My parents raised me to speak out and not be afraid to take on the tough fights - even when it's uncomfortable and means standing up to someone more powerful - and that's how I've lived my life. 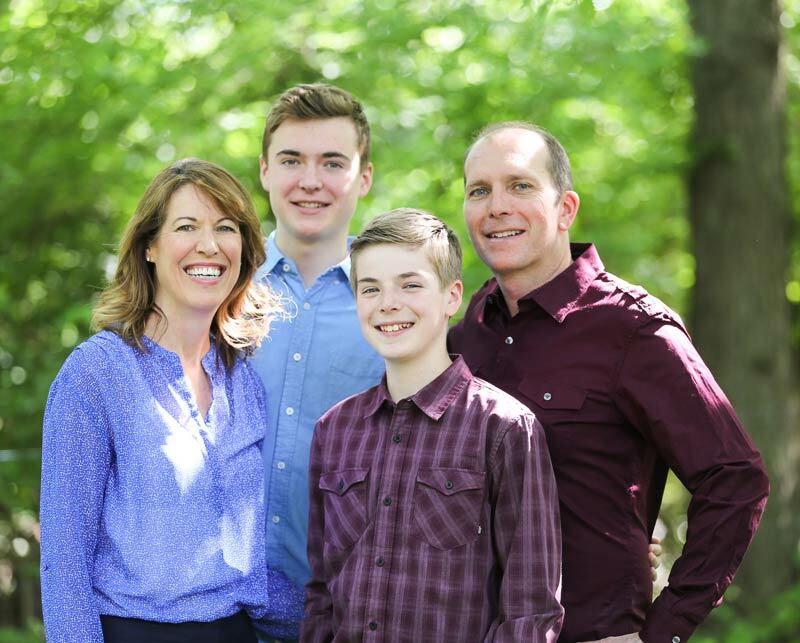 And now, it's why I'm running for Congress, because every Iowan deserves to be heard." Show your support for Cindy. Sign up for updates and join our team. Show your support for Cindy. Sign up for updates and join our team. Small business owner, parent and community activist – and now a candidate for Congress from Iowa’s 3rd District. 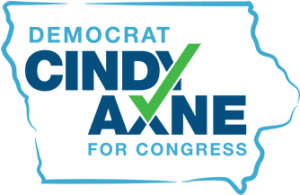 Cindy Axne is an Iowan, a small business owner, parent and community activist – and now a candidate for Congress from Iowa’s 3rd District. A fifth-generation Iowan, Cindy grew up in a tight-knit family on the south side of Des Moines. Cindy’s childhood included weekends and summers spent on her maternal grandparents’ farm in Warren County, 4-H activities, and playing 6-on-6 basketball for the Valley High Tigers. Her parents raised Cindy and her sisters to speak their minds and not be afraid to take on tough fights – even when it was uncomfortable. That is the principle that has defined Cindy’s adult life – from working to keep state government accountable to the people it serves, to advocating for all-day kindergarten for every child in West Des Moines and fighting to stop a local government plan to use state park land and private property to build an unnecessary new road. Following her graduation from the University of Iowa, Cindy worked in strategic planning and leadership development for the Tribune Company in Chicago and earned an MBA from the Kellogg School at Northwestern University. She and her husband John later moved to Wisconsin, where they started their small business. When their sons were 3 and 1, Cindy and John moved back to Iowa to raise their family in her home town. From 2005 to 2014, Cindy worked for the State of Iowa, helping over twenty different state agencies deliver government services more effectively and efficiently for taxpayers. Since then, she has focused on growing the digital design firm she runs with her husband John. Cindy Axne (D – West Des Moines), Congresswoman-Elect for Iowa’s 3rd District, says she sees opportunities to work with President Trump on infrastructure, prescription drug prices and other issues. Join our campaign today to help keep our grassroots team going and flip the 3rd District.